UAB GLASTELA is a successfully growing and improving company that is well known for designing, manufacturing and installation of metal and glass constructions. 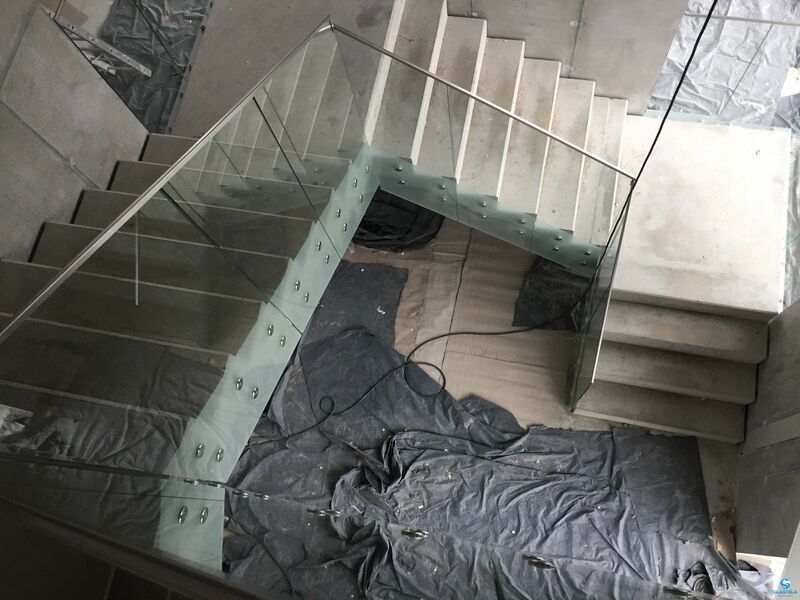 We offer you staircases, metal railings, glass railings for stairs, balcony railings, frameless glass constructions, partitions, sliding and hinged doors, glass roofs, shower cubicles, stair constructions, fire escape ladders and other products that relate to metal or glass constructions. Many years of experience in designing and manufacturing metal and glass constructions in both Lithuanian and Scandinavian markets as well as working with individual clients allow us to offer our customers coordinated solutions and guarantee the highest quality of our services. UAB GLASTELA is your reliable, responsible and dynamic partner.